Highlights from the article ‘Google for Hotels: Q+A with David Zammitt, Google Travel Industry Manager‘. Not just a search engine anymore, Google has dramatically extended its presence and influence in the online travel space in recent years. New features include Hotel Finder, Google+, a revamped Maps application and Local pages, greater prominence of reviews and ratings, and redesigned YouTube brand channels. Hotel Finder has a number of innovative and exciting features to help users select the hotels they are interested in more quickly. As I said, our goal is to get our users from intent to action as quickly and as smoothly as we possibly can. Hotel Finder does this through the use of detailed search, maps and live hotel rates and availability. We feel that this provides valuable leads to both suppliers and OTAs. If an advertiser is looking to include their properties on Hotel Price Ads and receive the clicks on their own sites, they may wish to consider one of our Integration Partners, including several leading CRSs (Customer Reservation Systems). This ensures that even small individual properties or chains can have their price and availability showing on Hotel Price Ads. In the past 2 years, Google has made it clear that it wants to play a big role in the travel industry. Last week it made its intention crystal clear by purchasing the travel guide book company Frommers. This comes after its other big ticket purchase of ITA 2 years ago. The addition of these 2 companies will add major arsenal to Google’s existing travel products like Google Maps, Google Hotel Finder, Google Flights. 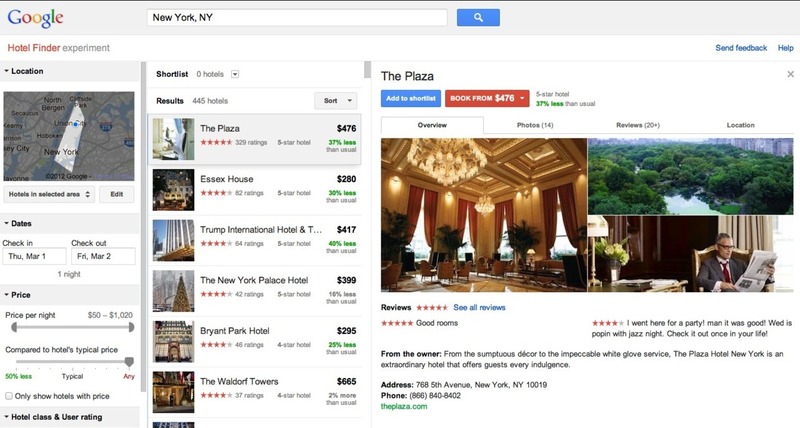 Google Hotel is a relatively new product in beta. Google Flights is also a new product launched after its purchase of ITA and currently is limited to USA. Google Now, the major new search product which works on Android can also be considered part of its travel offerings as it gives you alerts based on your travel plans. The integration of all these products have a potential that could change the way you travel. A combination of above Google products would help you quickly plan your itinerary (Google Frommers) based on your past preferences and Google’s algorithm magic as they already know everything about you ;). It would also recommend flights (Google Flights) and hotels (Google Hotel Finder), the 2 main pain points while planning a trip. During your trip, it would give you relevant alerts like when to leave (Google Now) and directions (Google Maps). And of course ‘relevant’ ads and offers depending on where you are going or where you are. Bring your hotel / restaurant to life by creating 360* views and interactive tours with Google Street View technology. If you are located in select cities in U.S., Australia, New Zealand, France, Ireland, Netherlands, Canada, and the UK (as of now), get your business on Google Business Photos. 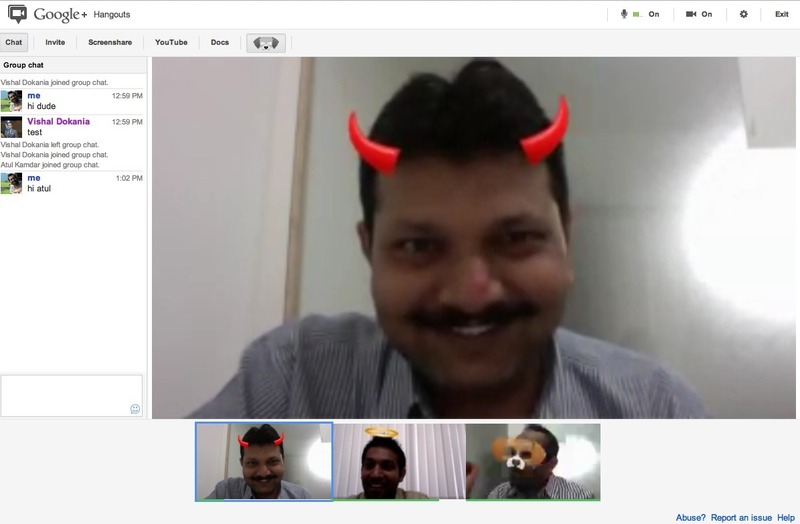 The Blynk team, hard at work on a video conference call!